Bandit is our newest addition. A son of Buck and Brandy, we feel he is destined to go far. 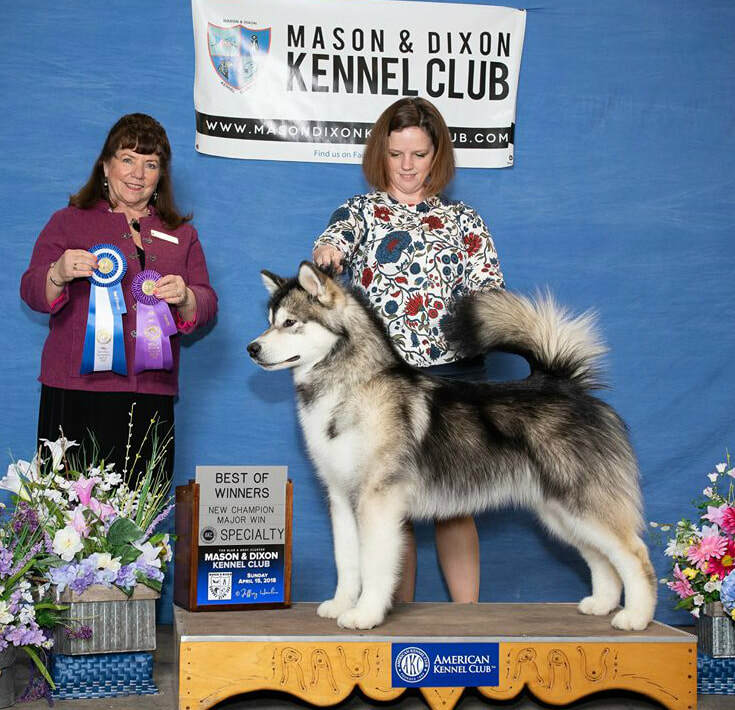 He finished his championship handily at the age of 8 months with two specialty wins, three 5-point majors and two best in sweeps wins, handled by Erin Myers.